Home Again: FAVE FIVE ~ Festivities! Time has flown, I've been warming myself, in the Pacific Oceans. And I'm back Home Again! "Welcome home Mom and Dad!" This week I found a bargain at the hospital gift shop. Five Bearington Bears at half price. I've been collecting them for years. Proudly standing around the fireplace keeping warm. Just in time to enjoy the festive season. I've been invited to present at a local food show. 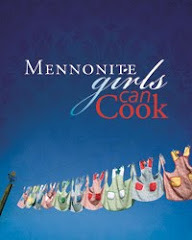 Preparing and actually promoting our Mennonite Girls Can Cook recipes. My Mother taught me Pie by the Yard. I took it to the food show, to show some authentic Menno cooking. all those that drive on our yard. "First Snowfall" , by M.W. Smith. Stop by and visit Susanne at Living to Tell the Truth. Thanks Susanne for sharing this opportunity with us. It's the highlight of my week. Yummy looking bread and perishky! Those Bearington Bears really are adorable - always a great seller in our Tuck Shop! Your food pictures made me hungry, I can imagine there are no leftovers, it all looks SO good! I love the new teddy bears, are they Boyds Bears? They look a lot like them. I'm a teddy bear collector myself, but haven't purchased any new ones anymore, there was a time when it looked like they had taken over the whole house! Awww, those bears are sooo cute. Do rabbits and bears make good friends? Snow? Wow, so many people can getting their first snowfalls. It does look beautiful. LOVE the bears! Love them! And a welcome home to freshly baked bread? Nice! Those bears are precious! I have never heard of Pie by the Yard. 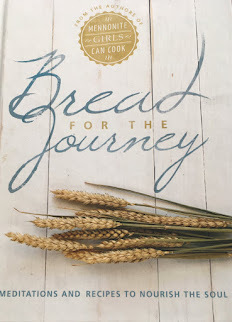 I cannot WAIT for this cookbook to come out. Wow Marg. What a great fave 5. It's already a winter wonderland in the valley! Your bears are really cute and all that food looks great! And your Perishky did not even run out! I'm looking forward to hear about the cooking show! I forgot to mention that bread ... looks amazing! If my daughter would make it for me I'd be showing it off too! Marg, I can see why there would be nothing left of those perishky..they look delicious. Coming home to fresh bread..wonderful! 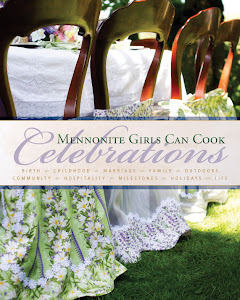 Your food does look wonderful and I can't wait to get my hands on a MMCC cookbook! Those recipes are amazing! And snow. . . . brrr, we just got rain and I am pretty cold! What a nice gift to come home to. And that Perishky looks yummy! Fun that you were at a local food show. The bears are adorable all around your fire place. Pie by the yard - what a good idea! Welcome home - you certainly traveled from one extreme to another. We have snow here today and it's not melting! Your book is going to be awesome! looking forward to it!